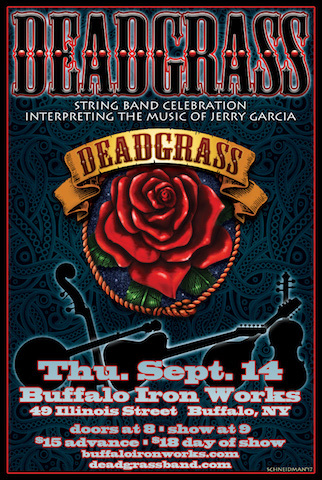 "Deadgrass’ way is similar to the acoustic style employed by Garcia in Old and in the Way and in his collaboration with mandolin player David Grisman. Added to that approach are the band’s extended jams, a la The Dead. Lanzbom says the jams are done with the understanding that they don’t yet have the artistic license that The Dead had." Following the release of their newest record Deadgrass Live, Deadgrass is happy to announce their 2018 Spring Tour with twenty shows in the Northeast. 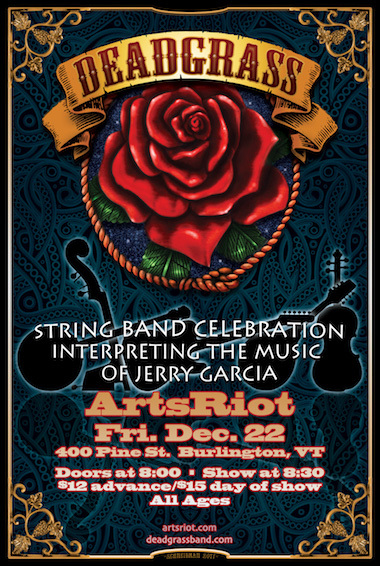 The quintet is a string band celebration interpreting the music of Jerry Garcia. 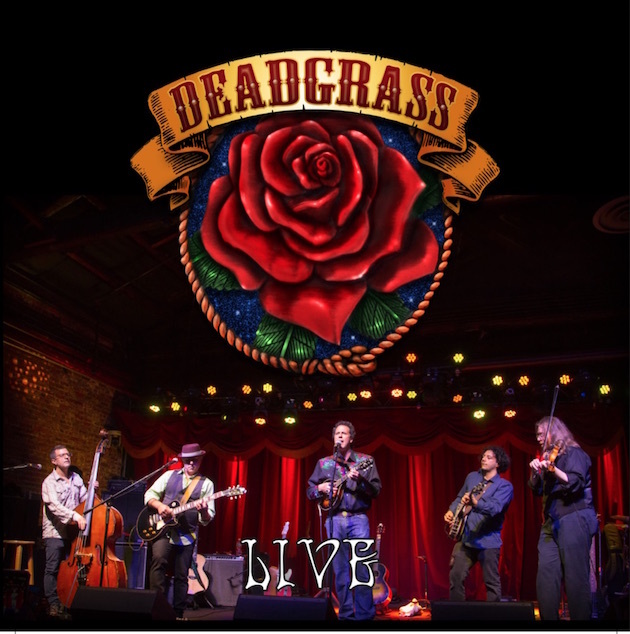 NYS Music says Deadgrass is “Improv-laden with phenomenal chops, capturing the vocal harmonies and intonations led by Garcia, refreshing and fun.” If you have not seen Deadgrass, you should. 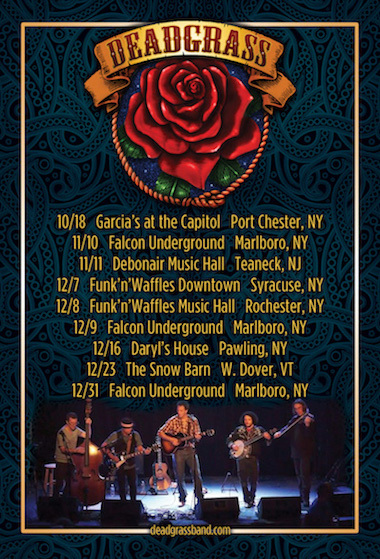 Over the last year, Garcia's sound engineer Michael Renna recorded Deadgrass performing live at Garcia's at the Capitol Theatre in Port Chester, NY. Deadgrass' lead guitarist and grammy winning producer C Lanzbom mixed these tracks. Deadgrass Live will be released at Garcia's on October 18th. 12 songs and 72 minutes of live music await you. The CD is available at all live shows and here.